In Bauma 2019, Metso will display the renewed Lokotrack LT200HP. Thanks to its direct v-belt drive from the gearbox, the renewed solution delivers fuel consumption savings of at least 15% compared to hydraulically driven cone crushers. 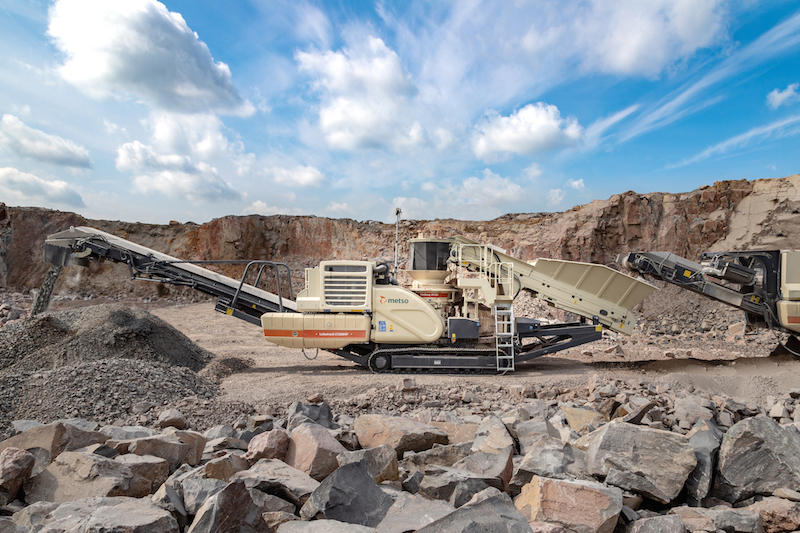 Metso is introducing a number of new, state of the art solutions for the aggregate, construction, and mining industries in Bauma 2019, the industry's leading tradeshow in Munich, April 8-14. The launches include technologies and services that enable improving productivity and driving down costs. The preview of the new solutions will take place at Metso's booth FS.1111/2 on April 8 at 11.00 a.m.
"Metso continues to invest in the development of solutions for aggregates and mining segments and we are extremely excited to be able to launch these latest innovations at Bauma," says Olli-Pekka Oksanen, vice president, West Europe market area at Metso. "Many of the developments we are showcasing at Bauma are based on our customers' feedback on product capabilities and their business requirements. These solutions help our customers to improve the performance of existing operations and to control cost per ton." Along with the new crushing and screening solutions, Metso will unveil a groundbreaking innovation for off-highway trucks, enabling mines and quarries to haul more with less. This major product launch will expand Metso's offering into completely new territory and help customers reach a higher payload while lowering their operating costs. The Metso Lokotrack® LT200HP mobile cone crushing plant designed for secondary and tertiary crushing operations such as producing aggregates for railway ballast, road construction, asphalt, and concrete fractions. The LT200HP complies with European Stage V emission regulations. The Metso MX(TM) cone crusher with patented Multi-Action crushing technology designed to cut the operational costs of crushers and to provide more uptime compared to traditional cone crushers. Since its introduction in 2017, Metso has sold 50 MX crushers worldwide. The Metso Lokotrack® Urban(TM) range revolutionizes crushing in densely populated environments, such as city centers. It enables up to 60% better noise protection and cuts dust emissions. This can make the environmental permit process easier and opens new opportunities for the crushing business. Financial services make investing in new equipment simple. Metso's leasing models allow you to better match your costs with your production revenues. As part of the Metso Life Cycle Services for Aggregates, Equipment Protection Services (EPS) brings you added protection for your most valuable assets. This comprehensive plan includes extended warranties, scheduled inspections with Metso-certified technicians and Metso Metrics Services for remote monitoring and data visualization. High-performance Poly-Cer wear lining enabling up to four times or more wear life compared to traditional steel lining. This long wear life in combination with quick and safe change-outs keeps downtime to a minimum and results in the lowest operating costs over time. Metso's screening media are optimized for every application, ensuring long wear life and high operational open area. Metso and our distributor Fischer-Jung are looking forward to welcoming Bauma visitors at our booth FS.1111/2. For more information on Metso's featured solutions at the event, please visit our website.